Industry performance section covers the current & future prospects for global wind energy. Top 10 markets dominate the global wind energy industry accounts for 87.29% of global wind energy installation. Rising energy demand & environment challenges remains the major driving forces for wind power. Regional spread section covers the regional markets for wind power. In which European market remains the leader in global level but now it is growing at low rate as compare to rapid growth in Asian market due to developing countries. "The country's goal is to make it 10 per cent by 2010 and 16 per cent by 2020, revised from its initial goal of 20 per cent. " POINT ROBERTS, Wash., DELTA, B.C., October 25, 2006 - www.EnvironmentStocks.com (ES) an investor and industry news portal for the cleantech sector, provides insight into the growing support for ‘green’ technology by the insurance arena. Insurers are showing new strategic directions as they focus on reducing the risks associated with climate change in hopes of minimizing the occurrence and impact of natural disasters such as fires, floods, hurricanes etc. By reducing harmful greenhouse emissions and thus minimizing global warming, insurers are hoping to minimize losses, but also establish new revenue channels. The green building arena and its participants such as environmentally friendly fire resistant building materials manufacturer International Barrier Technology Inc. (OTCBB: IBTGF - TSXV: IBH), are looking to benefit from the additional support of this sector, which is considered to be a driving factor towards future market growth. Climate change poses significant risks across the United States, the consequences of which are often felt in coastal, flood-prone and fire-prone areas, through escalating degrees of natural disasters. According to a report from CERES, a coalition of investment funds, environmental organizations and other public interest groups, 2005 realized near $80 billion worldwide in insured weather-related catastrophe losses. Historically, the insurance industry has been pivotal in reducing the risks and improving standards in fire and auto safety, as well as earthquakes, making their work to minimize the threats associated with global warming a logical and productive extension of their loss prevention efforts. In addition, while climate change poses challenges and potential threats, significant business opportunities have also been created. One area in particular that will benefit from the support from the insurance arena is the green building sector. Green building techniques represent major steps towards reducing the harmful impacts on the environment caused by traditional energy generation and building operations, and insurance providers are beginning to reward businesses that incorporate these techniques. This in turn bodes well for the technology providers who are already seeing considerable growth in the number of builders incorporating green building practices and products into their projects. Fireman’s Fund Insurance recently announced new coverage aimed at promoting green building with the introduction of Certified Green Building Replacement and Green Upgrade products. While conventional policies cover building restoration to its original condition, Fireman’s Fund is now providing products that will enable commercial property owners and managers to rebuild and replace using green alternatives. By working closely with the U.S. Green Building Council’s LEED program and the Green Building Initiative’s Green Globes program, Fireman’s Fund Insurance hopes to align their coverage with these key certification processes. One of the consequences associated with climate change is the growing incidence of fires resulting from warmer weather and ensuing droughts. International Barrier Technology (OTCBB: IBTGF; TSXV: IBH), a developer of environmentally friendly fire resistant building materials has seen first hand the increased focus on fire protection, but also the growth within the building industry for environmentally safe products. Having the insurance industry providing further support for green building products will no doubt boost demand as the insurers put their climate strategies to work. Insurance giant, American International Group, Inc, (AIG) has also proclaimed its focus on reducing the impacts of global warming, but identifies climate change mitigation as a strategy for generating additional revenue rather than merely a loss reduction technique. Through its various divisions AIG plans on investing in projects, and technologies that contribute to the reduction of greenhouse gas emissions, which are considered to be the major cause of global warming. As the benefits of clean energy and environmentally friendly products and technology continue to represent viable solutions for reducing damage to the environment, it has also become a loss prevention and revenue producing strategy for insurers and businesses. With natural disasters continuing to pose serious threats financially and physically, it is anticipated that the support from insurers for reducing harmful emissions will grow even further. EnvironmentStocks.com and RenewableEnergyStocks.com™, investor and industry news portals within the InvestorIdeas.com content umbrella, do not make recommendations, but offer unique free information portals to research news, exclusive articles and columns, audio interviews, blogs and investor conferences for the environmental and clean energy sector. For More Info: www.environmentstocks.com/Companies/IntlBarrier/Default.asp or www.intlbarrier.com. 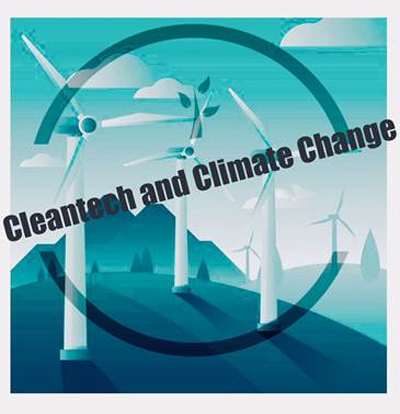 The Cleantech Index(TM) (CTIUS, www.cleantechindex.com) will be the sole source for companies included in the PowerShares Cleantech Portfolio (Symbol: PZD) exchange traded fund (ETF), that was launched today. The PowerShares Cleantech Portfolio (PZD) ETF will focus on public companies that have a large portion of their revenue from products and services based on clean technology. PowerShares Cleantech Portfolio (PZD) began trading in options today on the American Stock Exchange® (Amex®). POINT ROBERTS, WA and DELTA, BC – October 5, 2006 - www.RenewableEnergyStocks.com (RES) and www.Water-Stocks.com (WS), leading investor and industry portals for the renewable energy and water sectors, look at how alternative energy and water technology offer viable and marketable solutions to the environmental impacts that stem from fossil fuel-fired power plants. Working to restore balance and turn power generation challenges into opportunities are clean energy companies Beacon Power Corp, XsunX, Inc. and NRG Energy, Inc. with ITT Corporation and Hendrx Corp providing solutions to protect our water quality and supply. From a stock market perspective, while the demand for alternative sources of power and energy remains very strong as fuel prices and geopolitical tensions remain volatile, many companies within the renewable energy arena have seen their stock price decline significantly over the past several months. Short term, despite current market complacency, we may see an immediate spike as a result of a rise in oil prices or a power grid failure. Long term the potential for growth is supported by the constant flow of investments into the clean tech space and the continued presence of market drivers. “Hendrx’s AWG technology takes the water vapors right out of the air. Using our devices, a consumer is at the front of the line as far as water consumption is concerned. He does not have to compete with commercial interests. He is essentially tapping a cloud,” adds Solymar. ITT Corporation (NYSE: ITT), a global leader in the transport, treatment and control of water, and wastewater, providing a variety of technologies for power plants to help reduce water contamination and facilitate water efficiency, sees the mindset of most modern utilities changing to that of being concerned about environmental impacts. “Be it for their own environmental consciousness or the fact that they are being driven this way by local regulations, the tide is changing,” states Bjorn VonEuler, Director of Corporation Communications.